WTF Are You Reading? 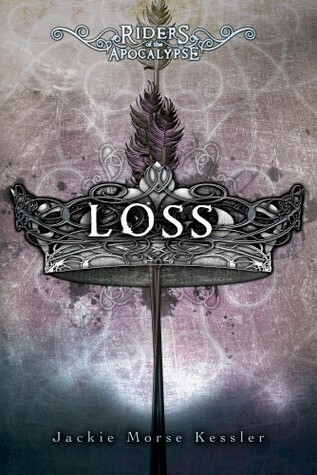 : "Loss"...A Read Not To Be Missed! Fifteen-year-old Billy Ballard is the kid that everyone picks on, from the school bullies to the teachers. But things change drastically when Death tells Billy he must stand in as Pestilence, the White Rider of the Apocalypse. Now armed with a Bow that allows him to strike with disease from a distance, Billy lashes out at his tormentors...and accidentally causes an outbreak of meningitis. Horrified by his actions, Billy begs Death to take back the Bow. For that to happen, says Death, Billy must track down the real White Rider—who is lost in his memories. In his search, Billy travels through White Rider’s life: from ancient Phrygia, where the man called King Mita agrees to wear the White Rider’s Crown, to Sherwood Forest, where Pestilence figures out how to cheat Death; from the docks of Alexandria, where cartons of infested grain are being packed onto a ship that will carry the plague, to the Children’s Crusade in France—all the way to what may be the end of the world. When Billy finally finds the White Rider, the teen convinces the man to return to the real world. But now the insane White Rider plans to unleash something awful on humanity—something that could make the Black Death look like a summer cold. Billy has a choice: he can live his life and pretend he doesn’t know what’s coming, or he can challenge the White Rider for his Crown. Does one bullied teenager have the strength to stand his ground—and the courage to save the world? In this her third book of the Horsemen trilogy, Jackie Morse Kessler chooses to spotlight the social evil that is bullying. Billy Ballard is the perfect punching bag for the school bullies, for his grandfather's Alzheimer's disease, and most importantly, for himself. s not that he doesn't have the power to take control of his life. In fact the opposite is true, he is so full of untapped power that he is chosen to ride as Pestilence, the White Rider of the Apocalypse. Ms. Kessler does things a bit differently in this book of the series. First, the star of the show for this performance is male. The first two books in the series were lead by ladies; so the fact that a male is the focus of this work will even the score a bit and break the gender barrier that having an all female series might cause with audiences. Secondly, the first rider and the second spend most of the book in interaction with each other. It is this interaction in fact that makes up the bulk of the story. This part of the story takes the element of fantasy to new heights as readers are allowed to experience life as lived by the White Rider as King Mita a.k.a. King Midas traipsing through areas such the famed Sherwood Forest. Billy realizes that in excepting himself and his power, he is presented with choices that will change his life forever. This book is a must read for anyone who has ever felt powerless or been bullied. I am adding book one to my list. Ever review i have seen states this is a must read. I love our review and it confirmed my feelings.